Celebrities out and about this week: Will Ferrell, David Beckham, Mandy Moore, Jennifer Lopez, Christina Aguilera, Jude Law, Jay-Z, and Beyoncé. 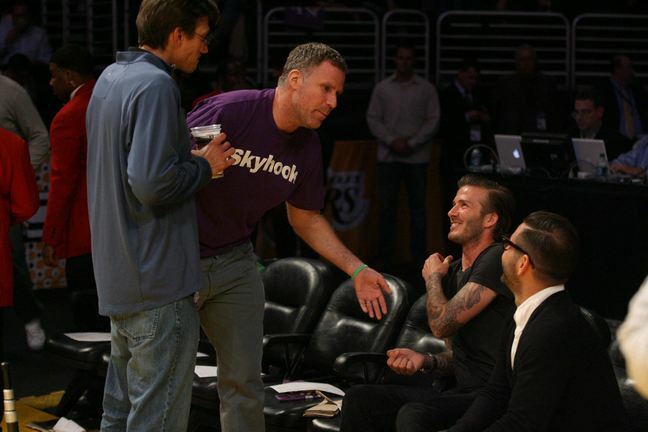 Celebrity dads Will Ferrell and David Beckham chatted it up at the Lakers game last night. Christina Aguilera and boyfriend Matt Rutler hit The Abbey last night in Los Angeles. Celebrity mother of two Jennifer Lopez attended an event at Best Buy wearing this belly-baring ensemble. 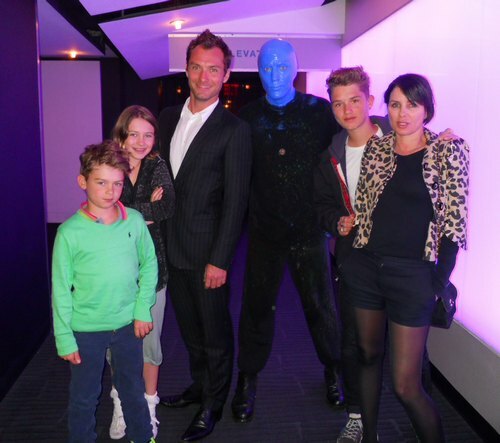 Actor Jude Law and his ex-wife Sadie Frost posed with their children Rafferty, 14, Iris, 10, and Rudy, 8, and a member of the Blue Man Group in Las Vegas. Beyoncé and Jay-Z are on vacation in Paris. 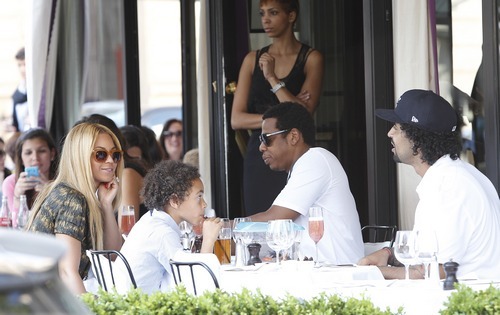 They grabbed lunch at their hotel with sister Solange Knowles’ son, Julez and his dad. ‘Tangled’ star Mandy Moore helped the ASPCA launch their PetArmor initiative yesterday in New York City.